HMRC’s response to attack ContractorCalculator following our exposé on its flawed IR35 tool not only reveals its weak position, but also raises grave concerns for the contract sector. Recently our critical expose of HMRC’s IR35 tool attracted widespread attention, revealing flaws in its logic and inconsistencies with its results. After we recommended that HMRC go back to the drawing board, the taxman’s response was to question our knowledge of IR35 and accuse us of overcomplicating employment status. At the same time it failed to address our criticisms of its tool. "HMRC sources have privately described the claims as “the same old rhetoric from a vested interest.” One contact said, “I don’t see how a third party would have sufficient knowledge about any of these individual cases to meaningfully use the calculator." If we can’t use HMRC’s IR35 tool correctly, who can? Our analysis pitted the HMRC tool against the outcomes in each of the 21 historic IR35 tribunal cases, finding it to be wildly inconsistent and unable to determine IR35 status 38% of the time. In response, HMRC questioned how a third party could have sufficient knowledge about any individual case to meaningfully use its IR35 tool. It added that, if we had entered the ‘correct’ data, it would have provided the right outcome. But for the taxman this seemingly isn’t enough. Does HMRC know something that even the judges of the cases were not aware of? We found that HMRC had applied a rather crude method for determining IR35 status. Rather than adopting the directions set out in the Hall v Lorimer (1993) case and considering the whole picture, HMRC’s tool simply picks out the strong passes based on a small set of criteria, and then either concludes the contractor fails IR35 or gives an inconclusive judgment to everyone else. HMRC reinforced this simplistic logic in its response to us, where it claimed that IR35 status is straightforward for most contractors, and described our criticisms as an attempt to complicate the matter. Again this demonstrates a naïve lack of understanding of the legislation that HMRC has set out to enforce. 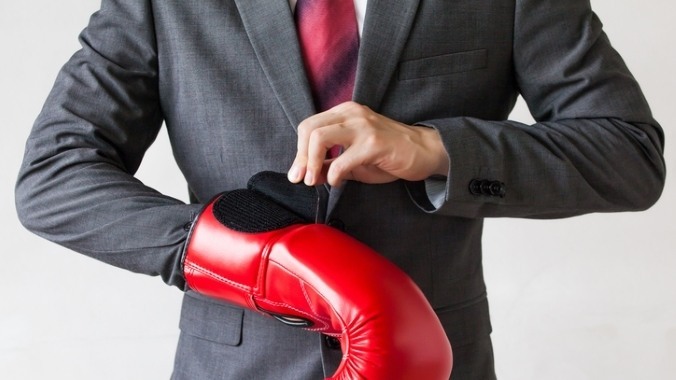 The fact that many cases have gone to employment tribunal is evidence alone that IR35 is far from simple, as is the taxman’s struggle to enforce the legislation over its 18-year existence. The taxman’s failure to address our criticisms says it all, and attacking our character has only served to expose HMRC further. It’s a tactic usually employed when losing an argument, and proves that the taxman doesn’t have a leg to stand on. You might have expected HMRC to try to rebut us by publishing the results of its own test with references to the judge’s court reports. Instead it has simply chosen to attack the source. And while HMRC remains in denial, inadvertently weakening its own argument, industry leaders are supporting ours. Last week, a panel of IR35 experts unanimously agreed that HMRC’s tool is not fit for purpose, whilst established experts have criticised HMRC’s complacency and berated its impact on public services. Not for the first time, the taxman is doing contractors a disservice. HMRC needs to stand up and hold itself accountable for its shortcomings and the impact this is having on the public sector and valuable flexible workforce. None of this will happen while HMRC is still in denial. Whilst the taxman’s attack on us, rather than the evidence, is flattering, it can’t disguise the obvious truth. We're going to ‘drop the mic’ now, and hope that HMRC sees sense. 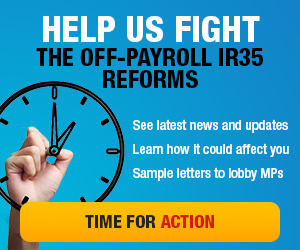 The off-payroll tax - what's the latest on IR35?